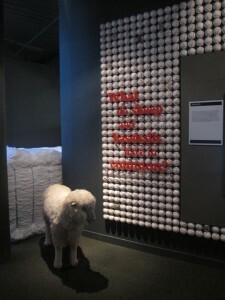 What do sheep and baseballs have in common? 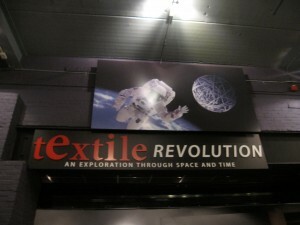 This is one of the many intriguing questions answered in the new permanent exhibition, Textile Revolution: An Exploration through Space and Time at the American Textile History Museum in Lowell, Massachusetts. On June 19,Â the Museum cut the ribbon on their own revolution.Â Having been closed for two years, the Museum reopened with updated, interactive displays that tell the history of American textiles, up to the present.Â “Most people have no idea how their lives are shaped by textiles – far beyond the clothing they wear,” said Jim Coleman, the Museum’s President and CEO.Â Indeed, the exhibition moves the visitor though spinning yarn in the home in pre-industrial times (hence, where we get the term “spinster“) to contemporary textiles that encompass cars, high-performance bicycles, and “sharkskin” suits worn by Olympic swimmers. 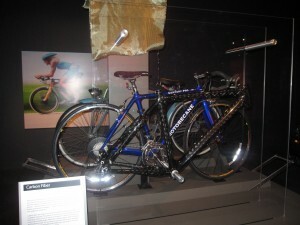 Carbon fibers woven into high-performance bicycle frames. Lowell Mayor “Bud” Caulfield called the renovated Museum “a jewel in Lowell’s cultural landscape.”Â Â Through its innovative approach to illuminating the history of textiles and the importance of textilesÂ to theÂ scientific, medical, aeronautic fields and beyond, the Museum is truly a jewel in America’s cultural landscape.Â With tens of thousands of textiles spread across at least 6 Smithsonian museums,Â we can’t wait to get startedÂ collaborating with the Museum to enhance the story through our Affiliate partnership. 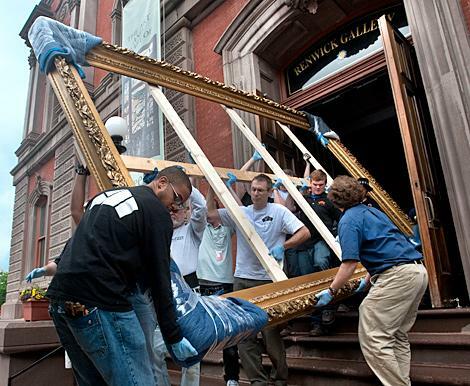 Kudos to the Museum – its staff, board, donors and supporters -Â on a job well done! 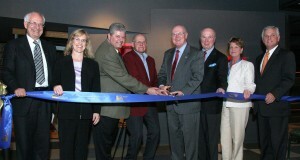 Museum stakeholders cut the ribbon to the new Museum and permanent exhibition. The Museum really knows how to celebrate! 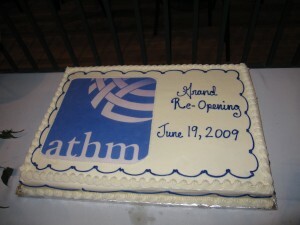 https://affiliations.si.edu/wp-content/uploads/2009/06/athm-0012-300x225.jpg 225 300 Jennifer Brundage https://affiliations.si.edu/wp-content/uploads/2019/03/si_Affiliations_rgb_single-line_color-280w-1.jpg Jennifer Brundage2009-06-30 17:13:092017-03-10 17:49:17Textile Revolution! A masterpiece by one of Americaâ€™s most renowned 19th-century landscape artists will soon make its way west from the Smithsonian American Art Museum in Washington, D.C., to the Buffalo Bill Historical Center in Cody, the only Smithsonian Affiliate inÂ Wyoming. Thomas Moranâ€™s The Grand Canyon of the Yellowstone (1893 â€“ 1901) will be on loan from the Smithsonian American Art Museum as part of the Whitney Gallery of Western Artâ€™s 50th Anniversary celebration. 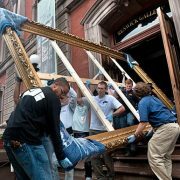 The massive paintingâ€”more than eight feet high and fourteen feet longâ€”arrives in early summer for a four-month stay and will be unveiled June 21. Indeed, Moran (1837 â€“ 1926) is often considered the pivotal figure in efforts to make Yellowstone a national park. In 1871, he accompanied F.V. Haydenâ€™s geological survey of the area as guest artist and worked closely with photographer William H. Jackson. Ostensibly, Moran painted the extraordinary sights of Yellowstone, and Jacksonâ€™s images proved they existedâ€”in case there was any question about Moranâ€™s interpretation. 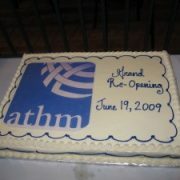 The renovated gallery opens June 21, 2009. Grand Canyon of the Yellowstone will be on view through October 31, 2009.Â Follow the countdown toward the opening of the Whitney Gallery of Western Art by visiting the historical Web site at www.bbhc.org/wgwa.Â For more images from the Smithsonian American Art Museumâ€™s flickr stream, click here. Congratulations Buffalo Bill Historical Center!